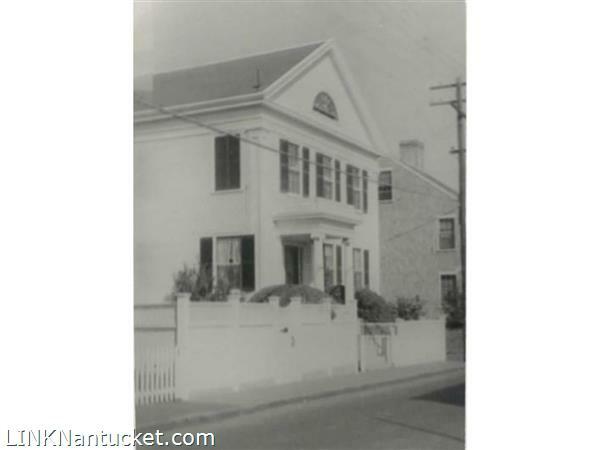 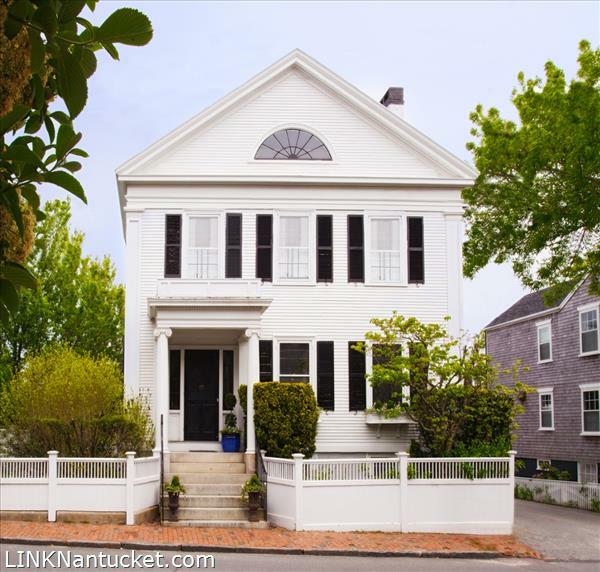 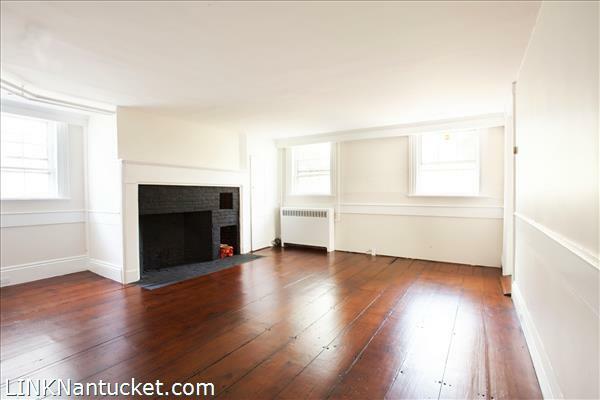 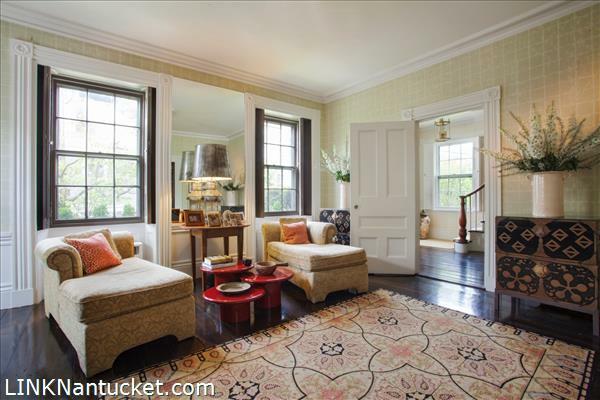 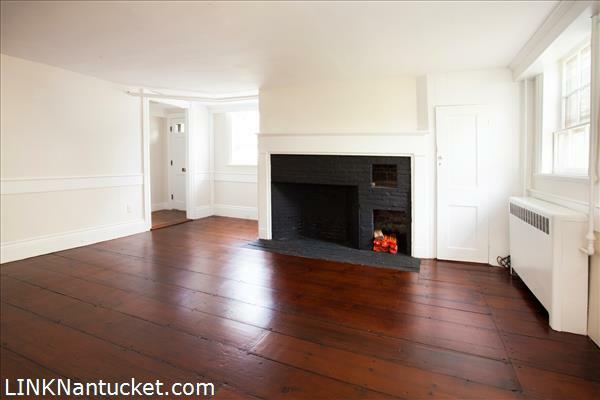 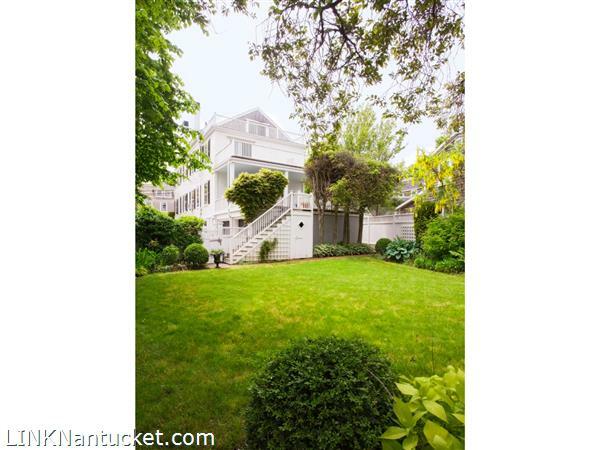 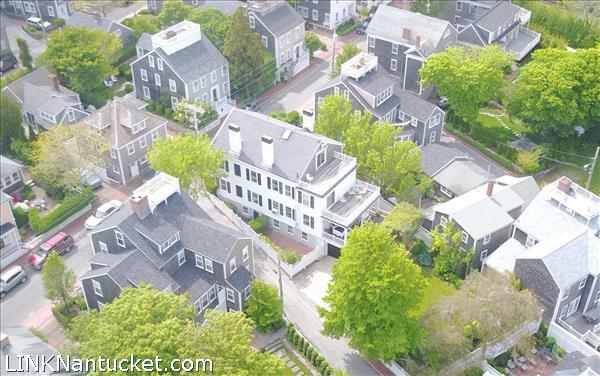 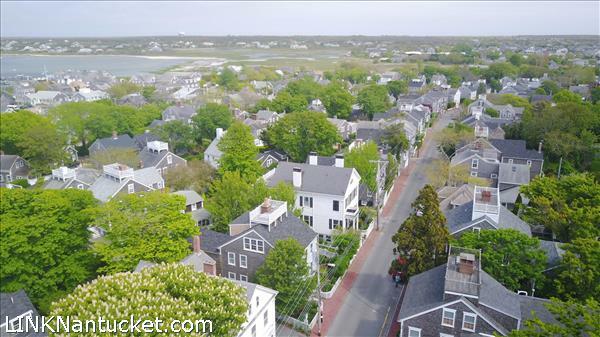 54 Orange Street remains a historic masterpiece and one of the best examples of 1830s Greek revival architecture on Nantucket. 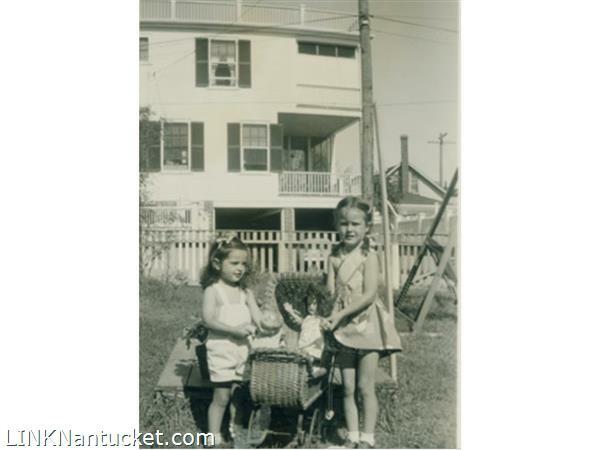 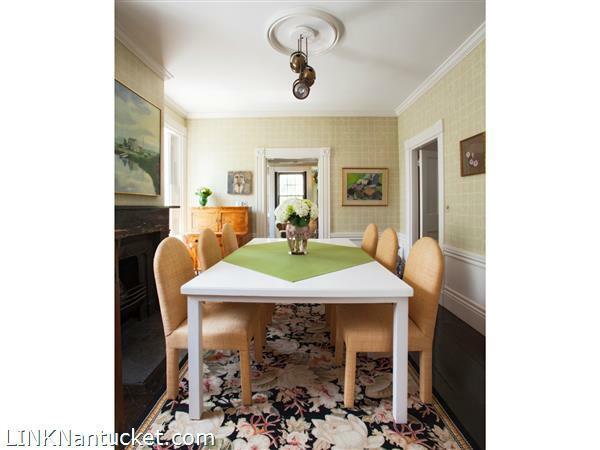 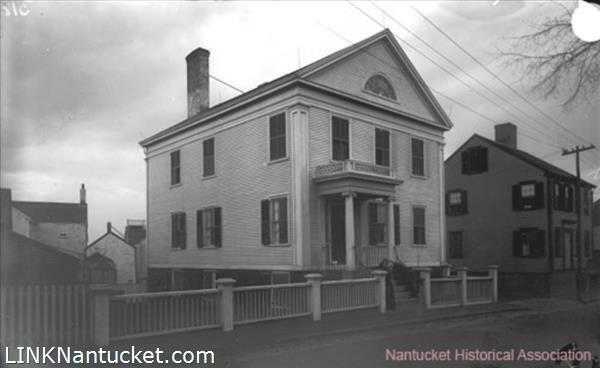 The home was built by Captain Charles Grant, the most successful whaling captain of his time. 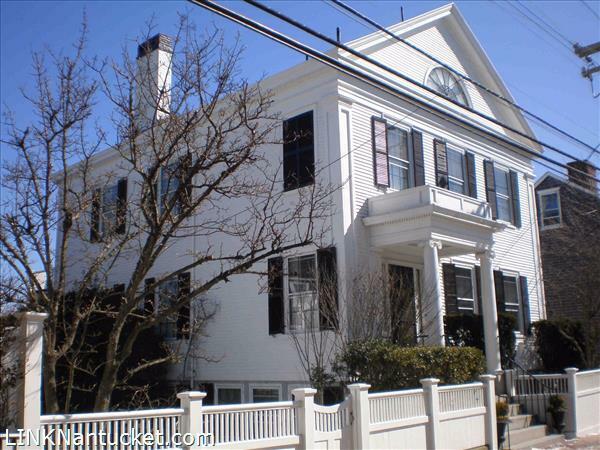 Many distinctive details are still intact today, including the ionic columns, pediment entry and gorgeous floors and trim detail. 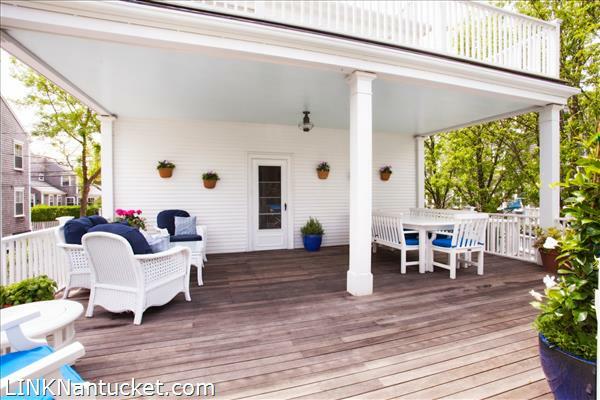 The property features grand living spaces, large windows, marble fireplaces, three spacious porches and beautiful harbor and Town views. 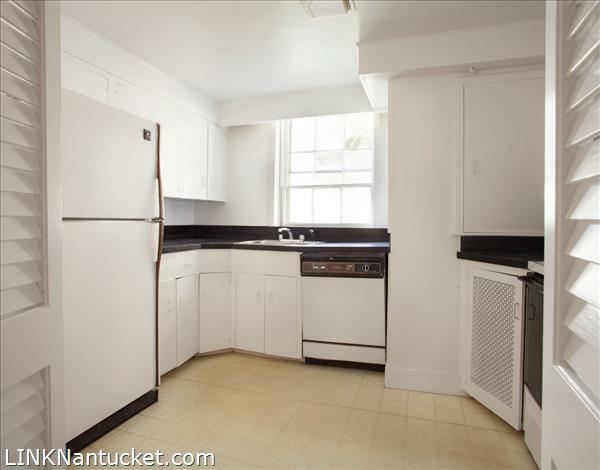 In addition to the three main floors of living space, there is a lower level apartment with interior and exterior access, as well as a two-car garage. 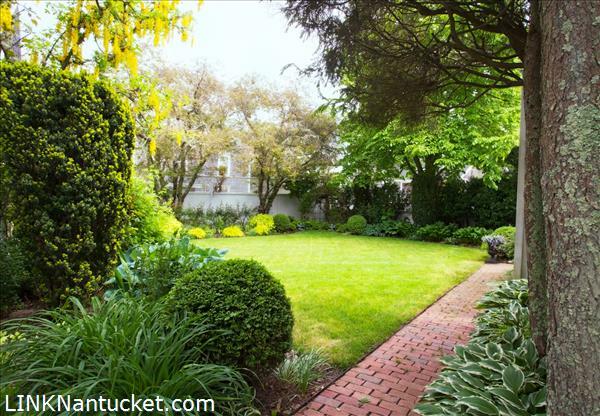 The stunning back and side yards complete this unique offering, ready for its next steward to make their own. 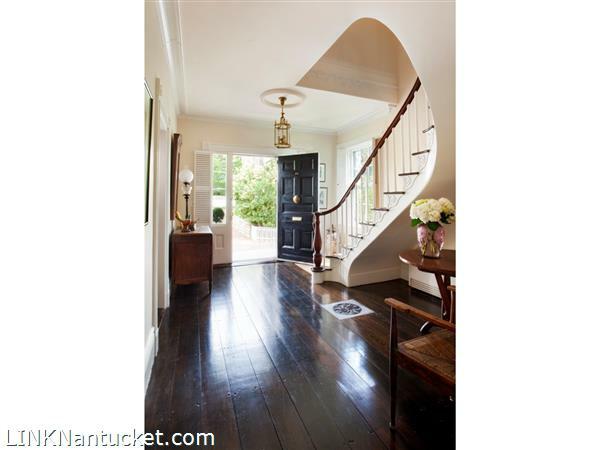 First Floor: Upon entering the front door you are greeted to a large entryway with a grand curved staircase, original wide plank floorboards and large, sundrenched windows. 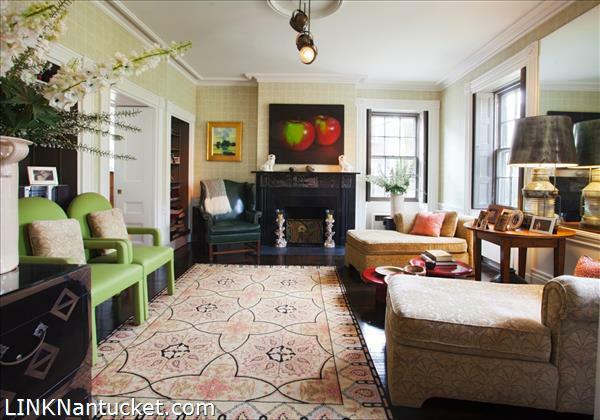 To your right, a formal sitting room with one of the multiple fireplaces individually crafted with marble from New Zealand, another original feature. 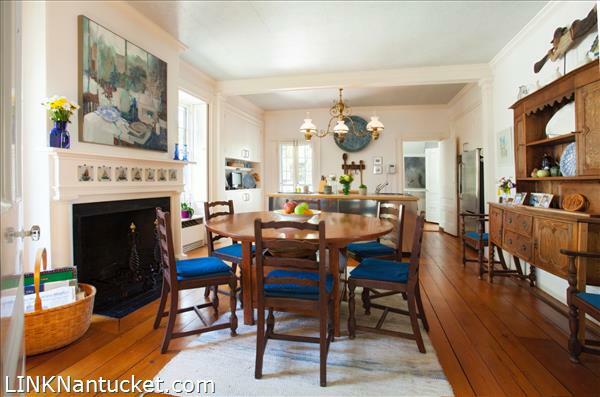 Just off the sitting room is the formal dining room with a fireplace and connects to the kitchen and mudroom. 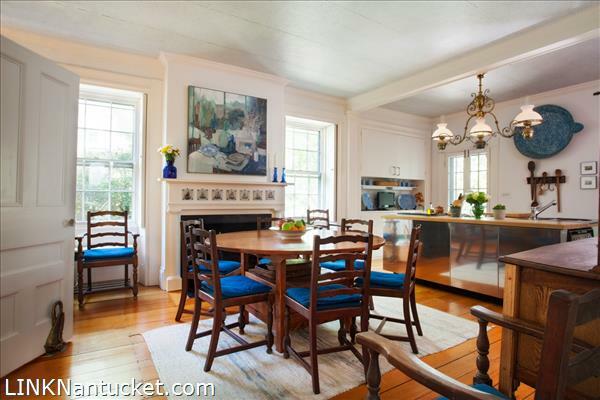 A large kitchen makes this a perfect home for entertaining and the focal point is an oversized marble fireplace, perfectly accentuating the historic integrity of the property. 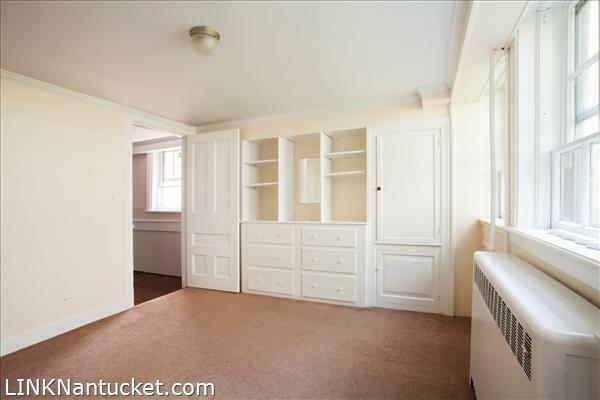 Access to the laundry, mudroom, and basement stairs is off the kitchen as well. 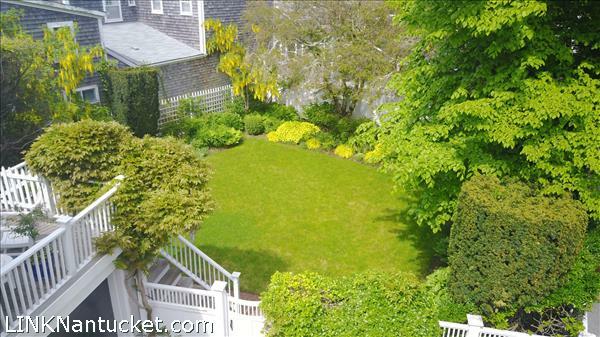 Additionally, the back door leads to a large patio and oversized, lush backyard. 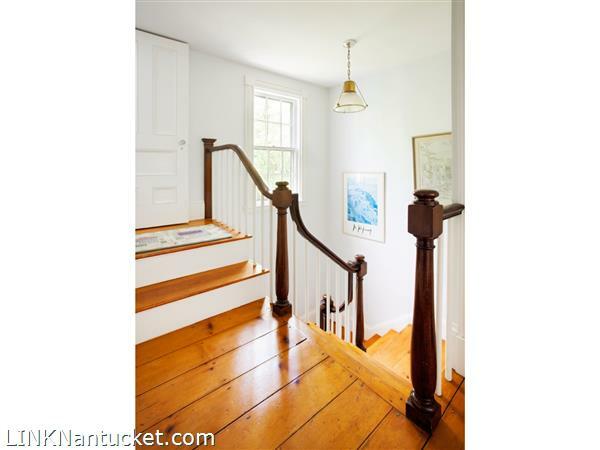 Second Floor: The second floor can be accessed from the grand entry staircase or a stairwell off the kitchen/mudroom. 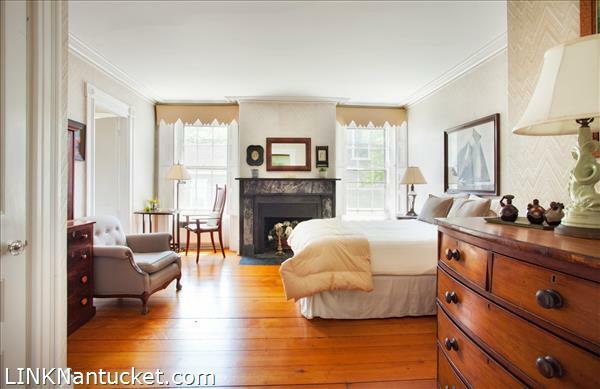 The main landing opens to a large bedroom facing Orange Street, a full bath to the right and a sitting room to the left. 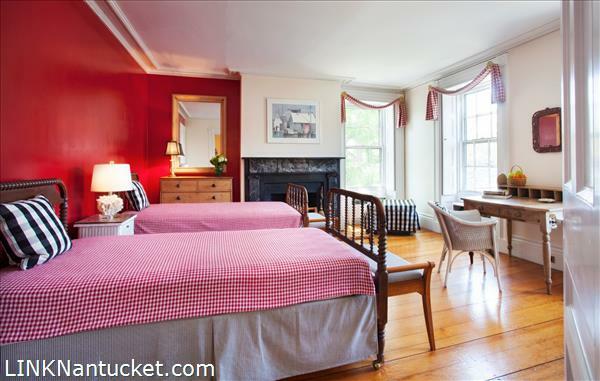 From the sitting room there is a grand second bedroom with an over-sized en suite bath. 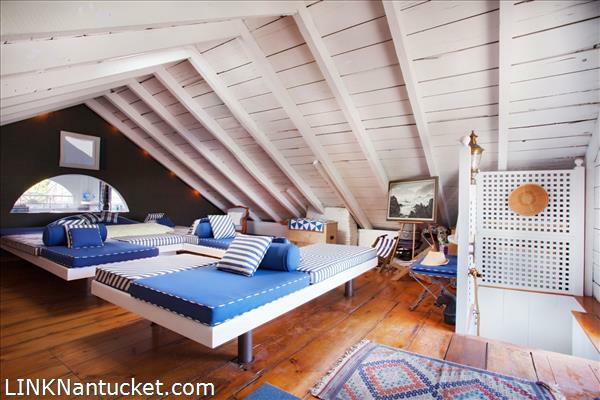 The rear of the house features a smaller bedroom with access to the large second floor deck with peaks of water views. 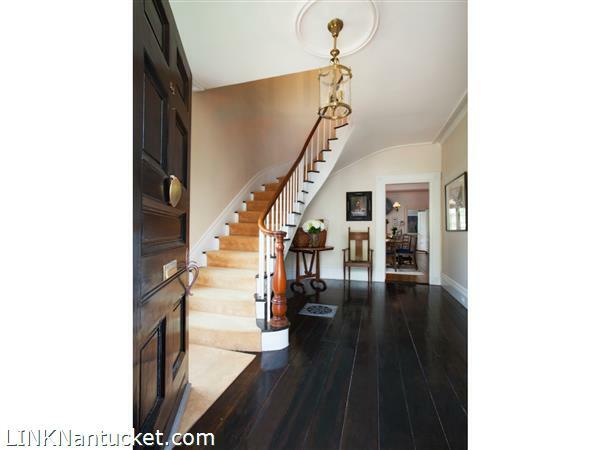 Third Floor: A staircase off the back of the second floor leads to an impressive third floor. 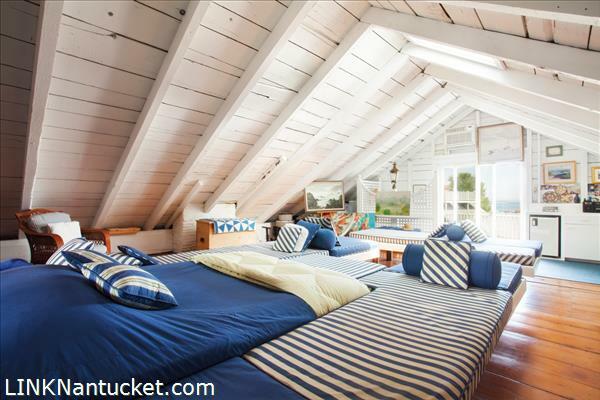 This is a large, open space with huge wooden beams, full bathroom and spectacular views of the Nantucket Sound from the oversized deck. 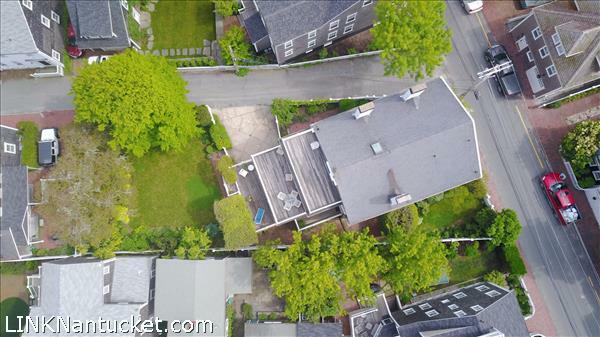 Basement: Finished basement with three well-sized rooms, two bathrooms and kitchenette. 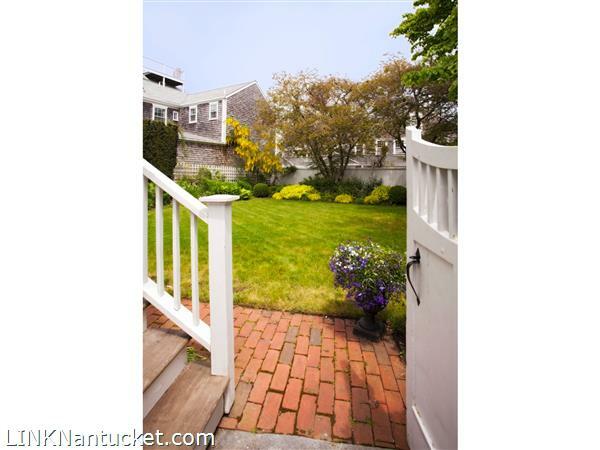 Easy access to the lower level through the back entry or two exterior entrances.